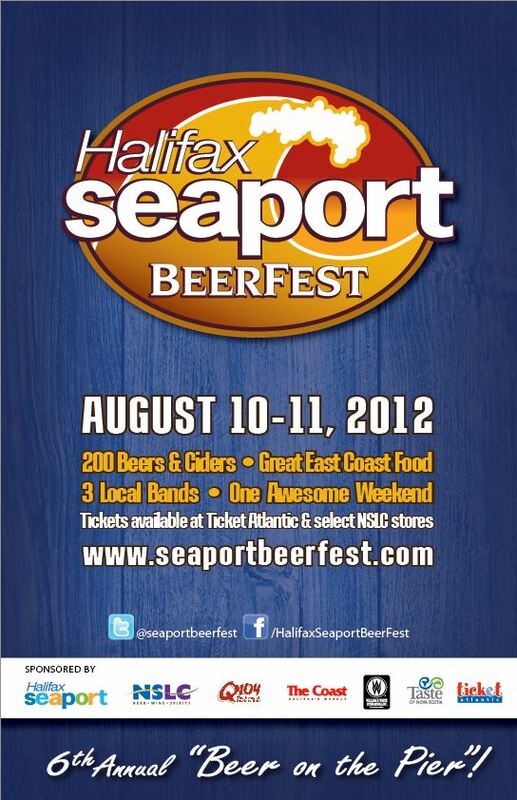 The list of beers for this year’s Halifax Seaport BeerFest is now available on the event’s website. A total of 213 beverages will be available including 5 gluten-free beer, 8 ciders, 37 from Maritime breweries, 45 from Quebec, 42 from Ontario, 4 from Western Canada, 4 from national breweries, 25 from the US and 43 international brews. Garrison Brewing Co., Hell Bay Brewing, Moosehead Brewery, PEI Brewing Co., Picaroons Brewery, Pump House Brewery (tentative), Rockbottom Brewpub and Rogues Roost are the Maritime breweries scheduled to participate. See the event’s website for ticket information, a special offer for designated drivers and the benefits for volunteering at the event.